A real discovery that is known only to a few locals who do not even dare to go to this little restaurant in Ferrol so as to preserve its tranquility/secret. 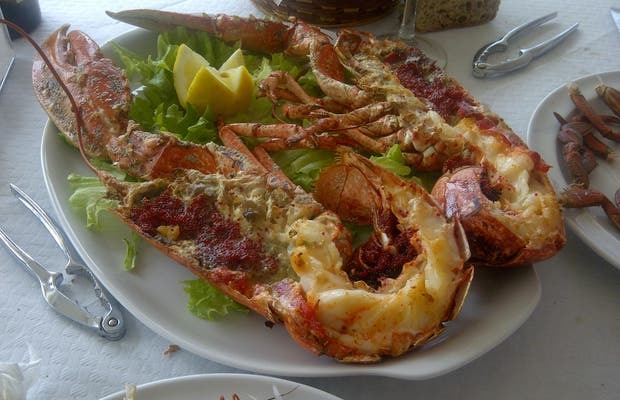 It is located in the Malamata Military Area, just 5 minutes from Ferrol port, make a few turns through narrow streets that cross a small development to reach the restaurant. The menu has all types of seafood of the highest quality I have ever seen: barnacles, crayfish, lobster, crabs and clams. I recommend the baked Vieira - no doubt a real treat for seafood lovers.